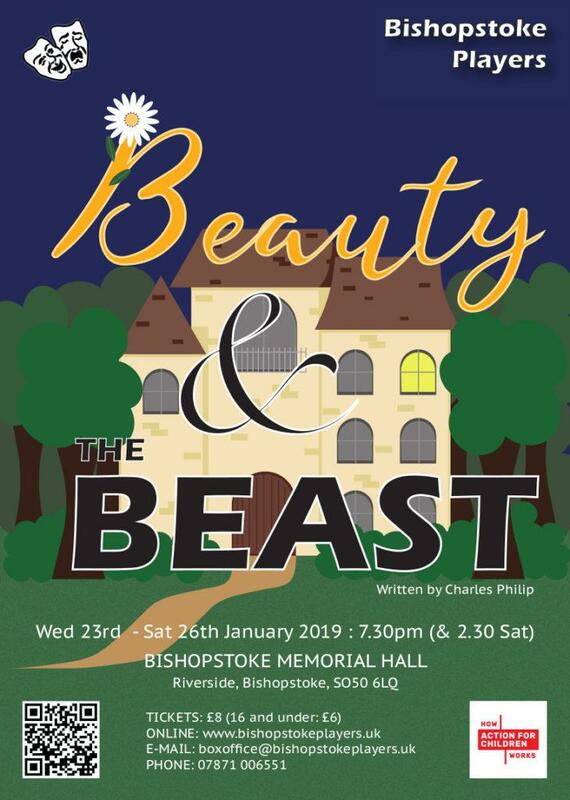 Bishopstoke Players present a traditional family pantomime next January with their production of “Beauty and the Beast”. 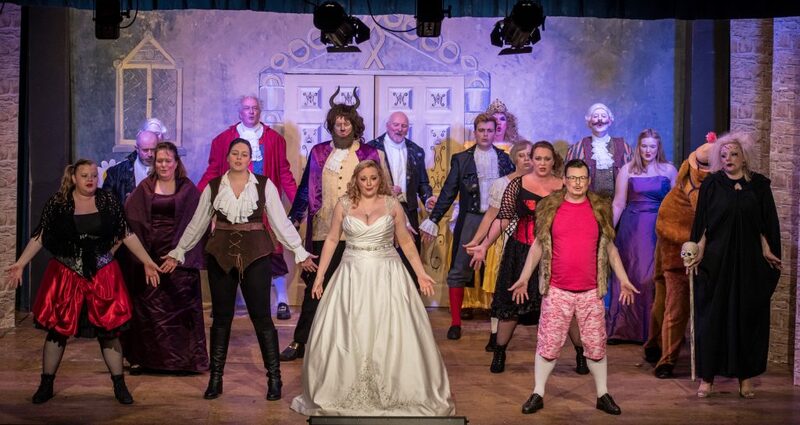 This enchanting tale of heroic adventure, true love, fun and frivolity is destined to be their most beautiful and beastly panto yet! Will Annabelle ever find true love? Will Gaston ever marry Annabelle? Will the Twinkle twins catch up with Gaston? Will the Beast and his staff have their curse lifted before the daisy runs out of petals? And just who will clean up after the horse…? 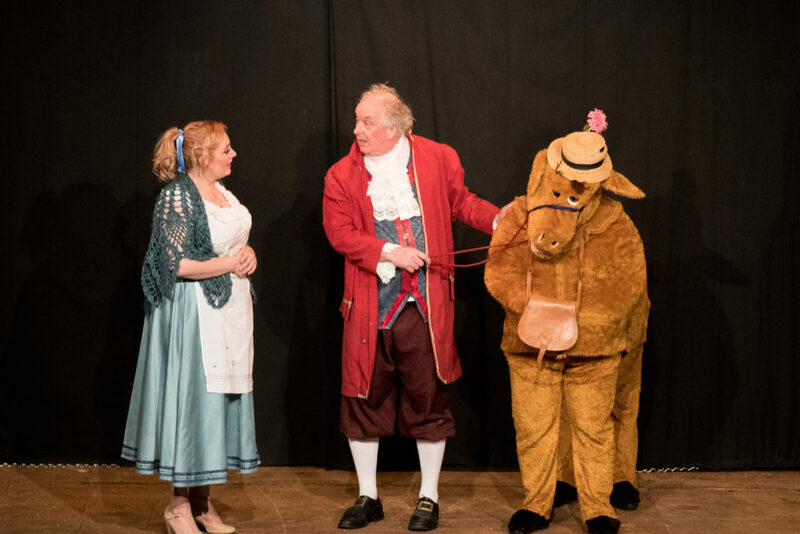 Find out the answers to these questions and more at Bishopstoke Memorial Hall from Wednesday 23rd to Saturday 26th January 2019 at 7.30pm, with a matinee on Saturday 26th at 2.30pm. Tickets are £8 (£6 for those aged 16 or under) and are available from www.bishopstokeplayers.uk or email boxoffice@bishopstokeplayers.uk or phone 07871 006551. 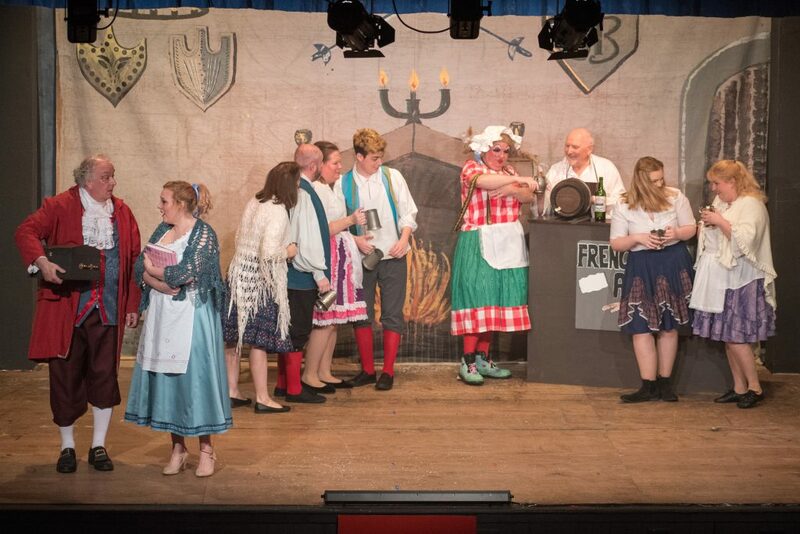 As with all Bishopstoke Players’ productions, proceeds will be donated to the charity Action for Children. 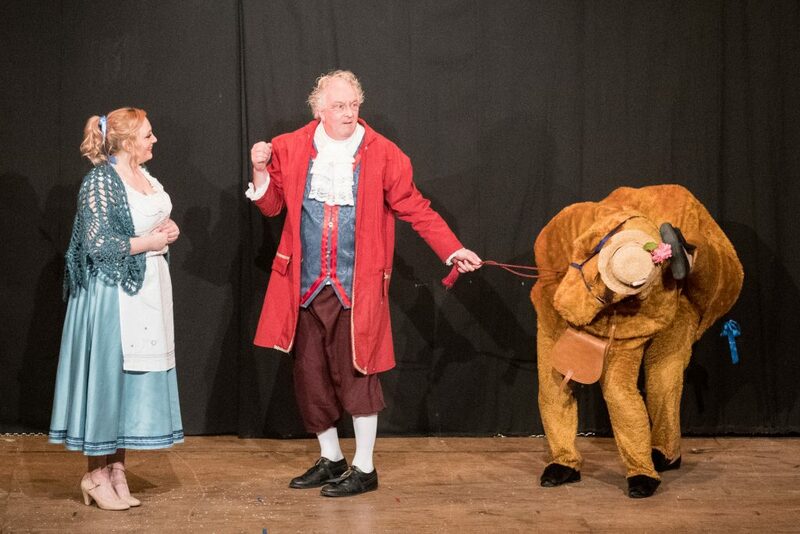 Beauty and the Beast – audience participation – Sorry, Mr Mayor! 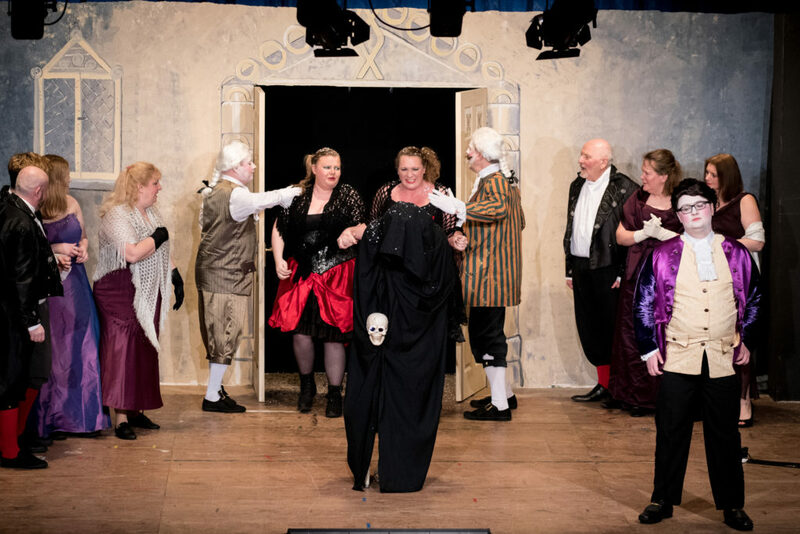 Bishopstoke Players perform this engaging adaptation by Charles Philip in the rather blank space that is Bishopstoke Memorial Hall. The venue boasts a stage of reasonable size, which just accommodates the cast of 25 for the final number and curtain call. 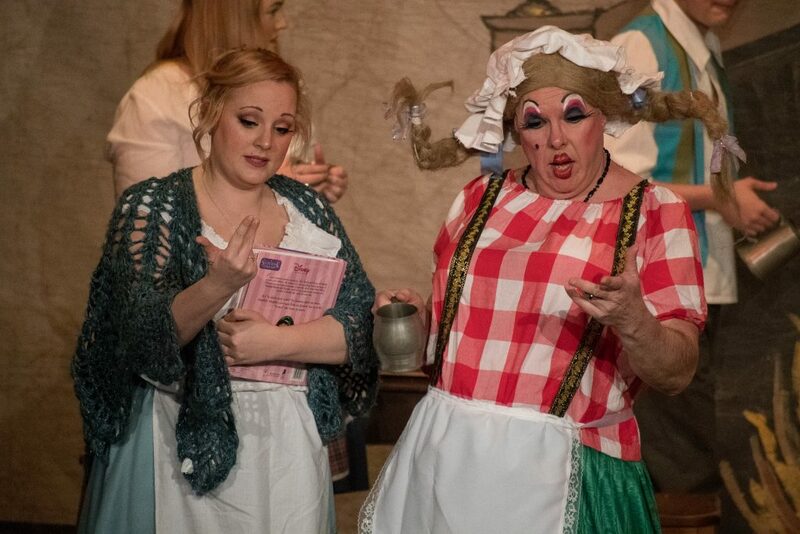 The adaptation contains plenty to amuse an audience of all ages, with plentiful songs, topical references, and opportunities for audience participation in the best pantomime style. The wintry night possibly accounted for an audience filling only half of the hall, but those who came had come to enjoy themselves and the effective heaters had warmed the room for them. 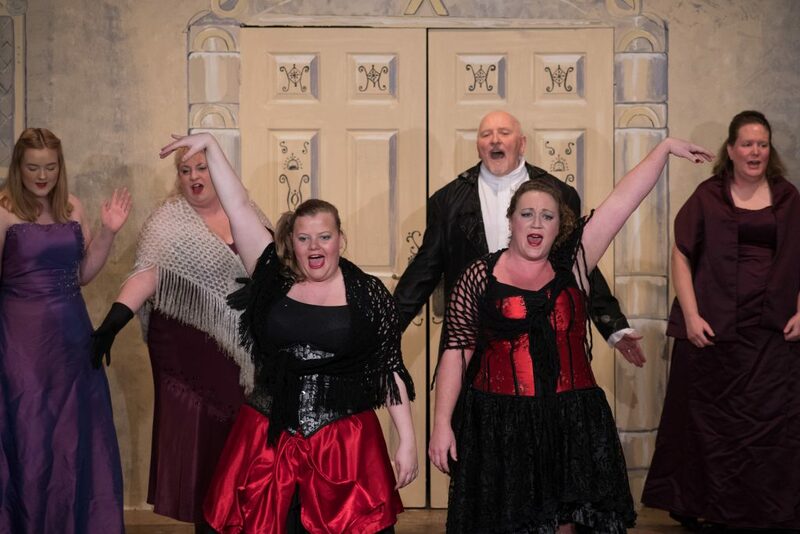 A major plus for this show was the clarity of the diction of the entire cast, both spoken and sung, so that not a single word was lost despite occasional first night nerves affecting the pace of the piece. 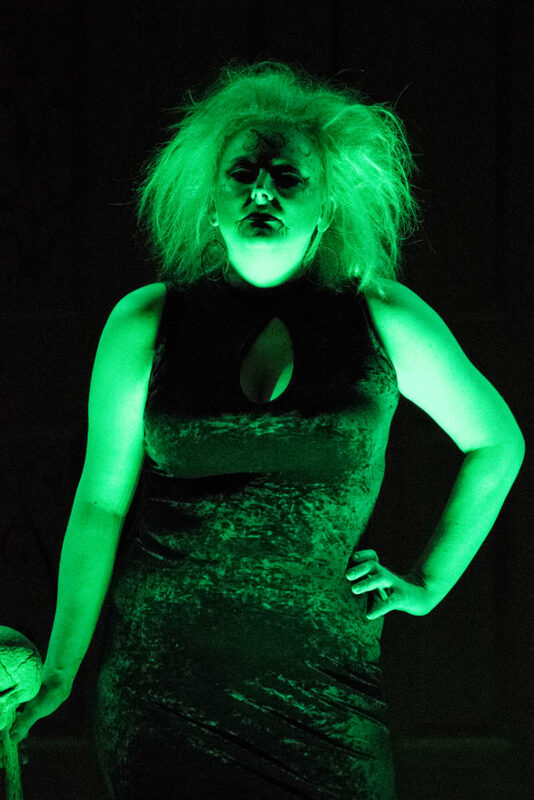 Lighting and sound were effective, but the greatest backstage plaudits must go to Julia Forster for the costumes. 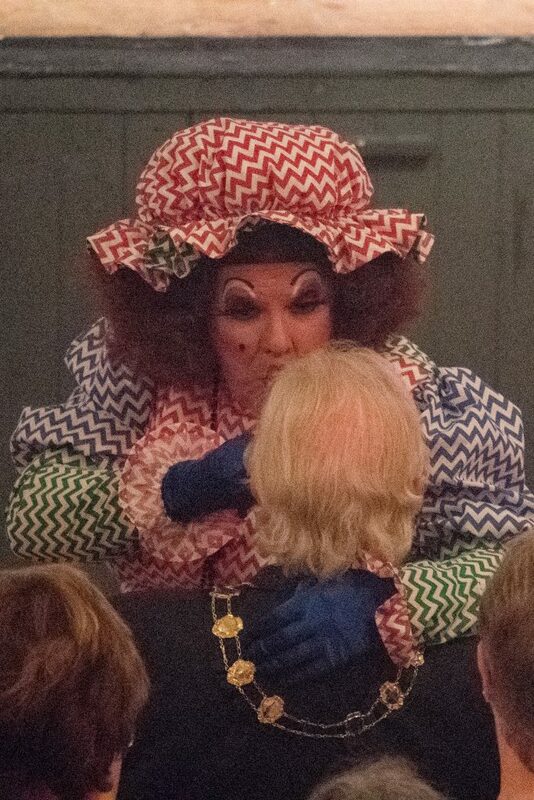 Particularly impressive were the Dame’s outfits (worn with aplomb by Jon Morgan as Dame Ramalama Ringer), which were loud, detailed and required some nifty changes. 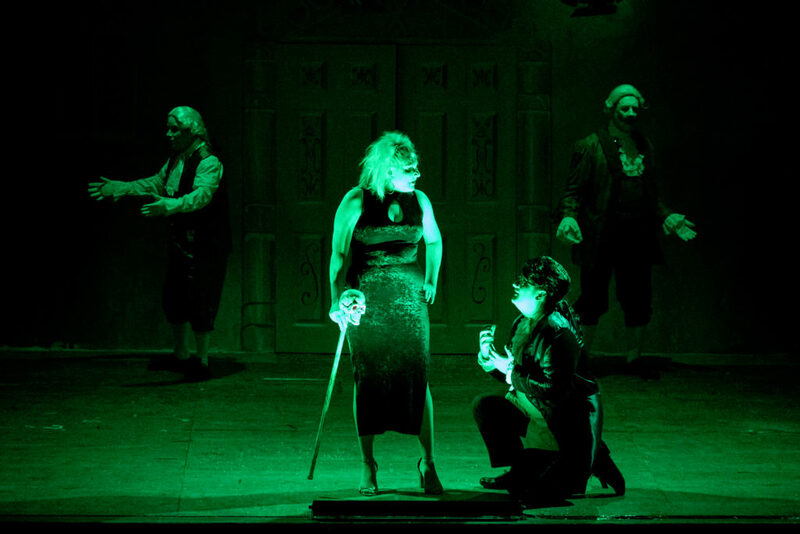 Morgan and Mikey Porter, as Lefop, stole the show for me, particularly in their duet. In addition to having very good singing voices, these two showed excellent comic timing, were at ease with engaging the audience, and didn’t let their characters slip for a moment. 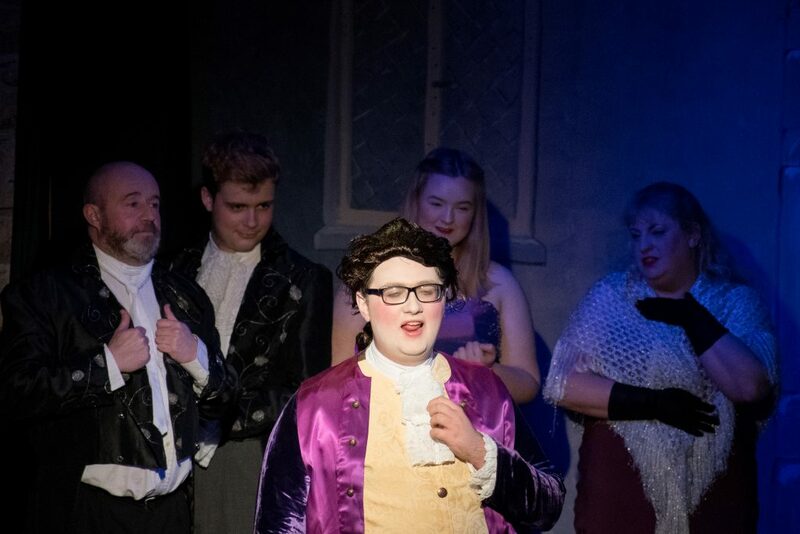 Director Adrian Barrett has created some interesting dynamics by casting a young woman in the part of Gaston (Alison Broeders, whose performance gained in confidence through the evening) and separate actors in the dual roles of Prince (Arthur Moore) and Beast (Colin Carter). Although the script rather leaps through Annabelle (Charlotte Forster) and Beast growing to care for one another, Carter creates a sympathetic beast and Forster a suitably feisty and caring heroine. The little teacup Chip is transformed into a trio of Chiplets (Amber Ashman-Rogers, Beth Bowers and Lola Barrett), who were endearing and held their own with the adult actors. Among the furniture, Richard Bevis-Lacey was particularly effective as Luminate – more standard lamp than chandelier but I loved the lights in each hand – and he had some excellent repartee with Clocksworth (Tim Ponsford). However, he could engage the audience more with his lovely Del Boy-esque French patter song. 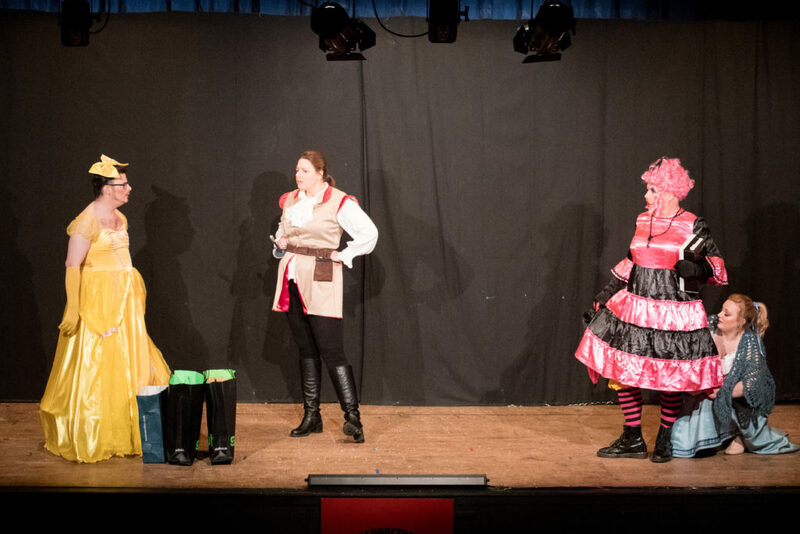 A special mention must also go to the Twinkle Twins (Emma Braggins and Katie Pink), who bring some great fun to the role of Gaston’s fan club. They could give any ugly sisters a run for their money. 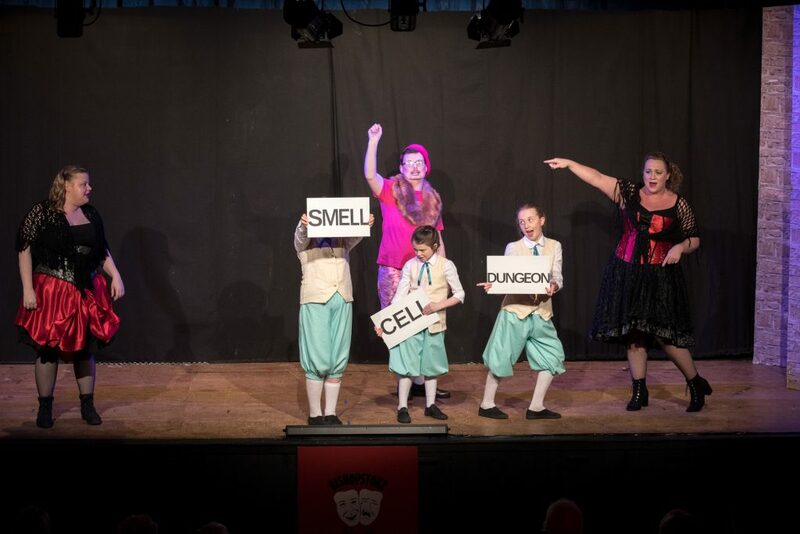 Bishopstoke Players have been supporting Action for Children for 47 years and I am sure will continue to do so for many years to come. 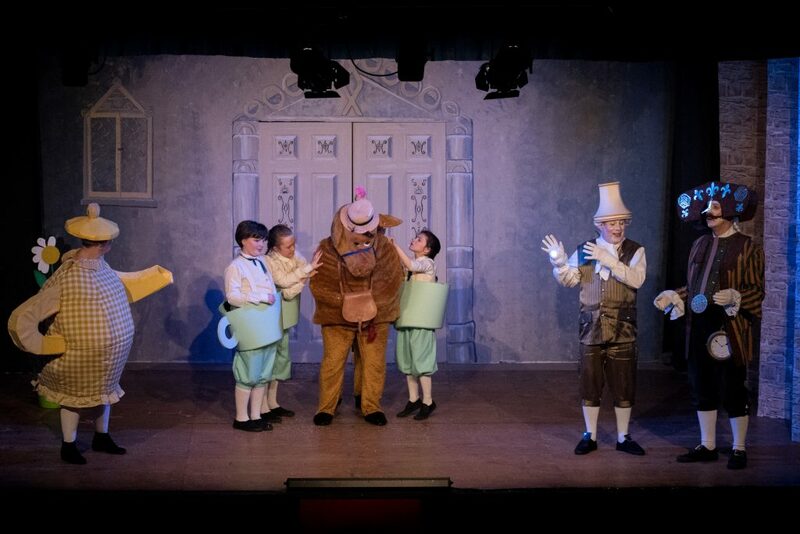 Beauty and the Beast runs until Saturday 26th with a matinee and an evening performance on the Saturday. Well worth taking the children – or the grandparents! The Vicar of Dibley – thank you!